I might have bought concrete pumpkins today. I might have started to decorate for fall. Okay, I just couldn’t wait any longer! Plus, I had a nifty idea for a DIY fall wreath and needed a few supplies. Fall is my favorite time of the year, and even though it’s still pretty warm here in Westchester, NY, I just had to run to the craft store when I saw those concrete pumpkins advertised on sale. I should’ve taken a picture of my shopping cart filled to the top with fake pumpkins. 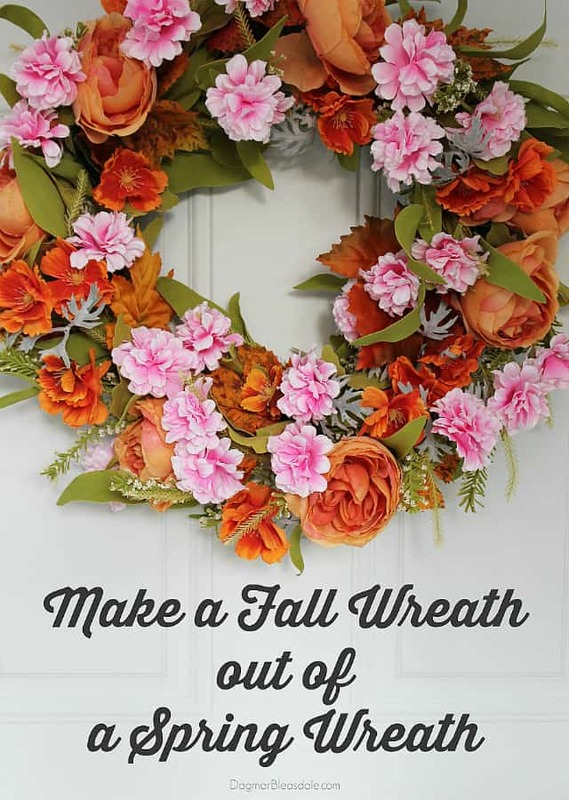 Instead, I literally raced home to make this easy DIY fall wreath out of our spring wreath. 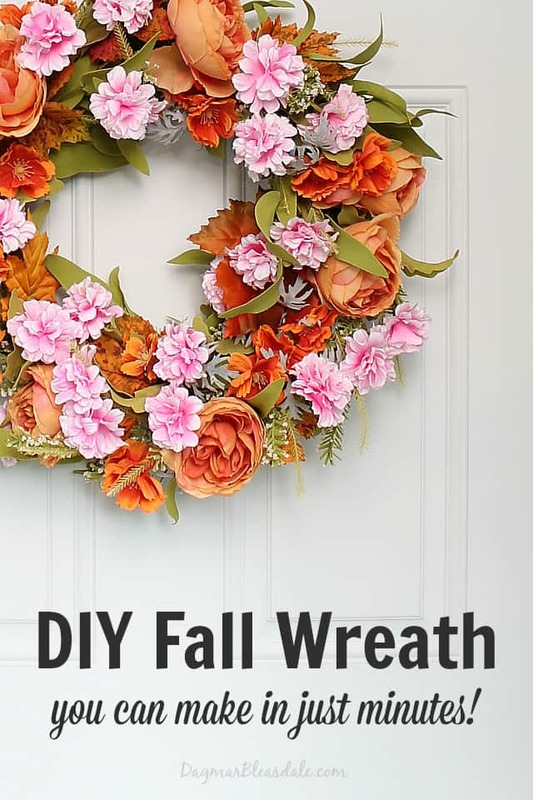 I’ll show you how easy it is to make a DIY fall wreath out of a wreath you already own! 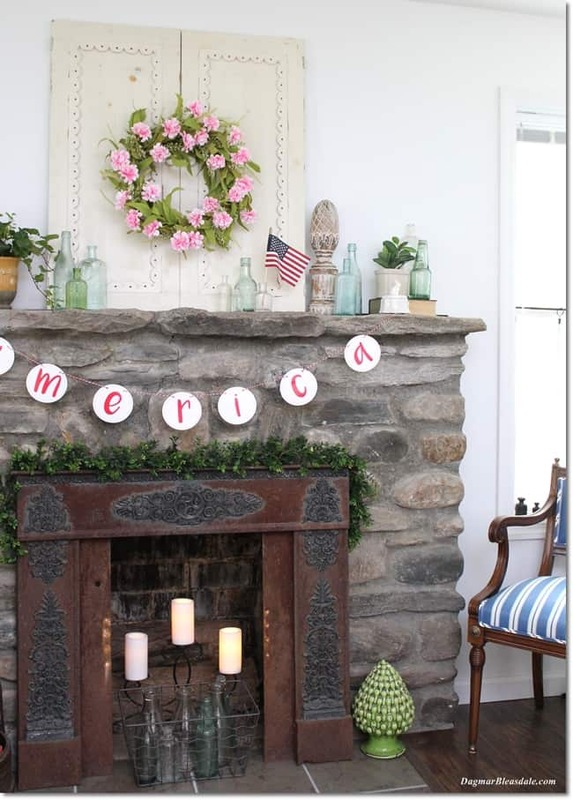 This spring wreath with pink flowers used to hang over our mantel. You might remember this post. 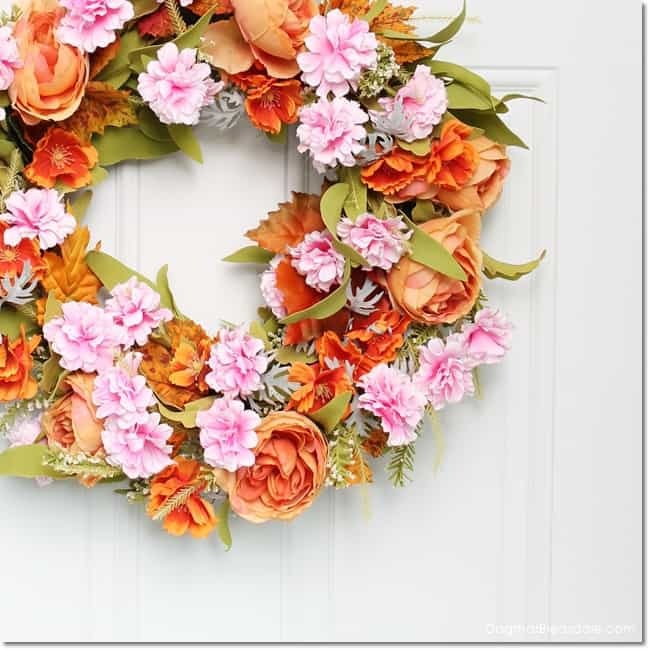 Since I repurposed our spring wreath, I just bought a few fake orange flowers and fake fall leaves to make my new wreath. I used strong scissors I used for the plastic lattice around our porch to cut the fake flowers to the right length. 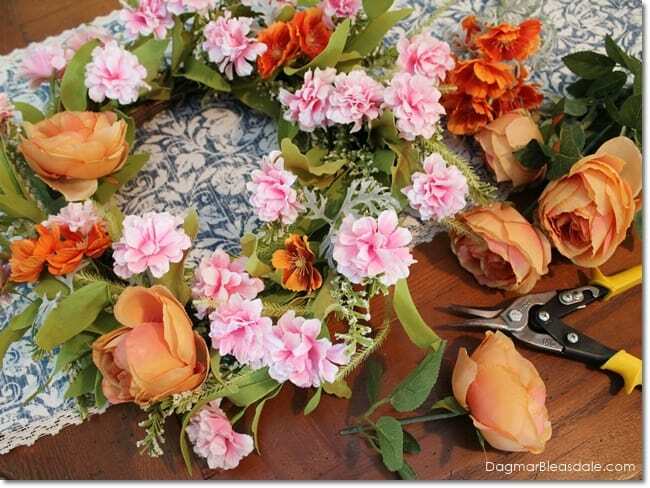 I like super easy and fast DIY projects, so I didn’t even bother gluing the flowers in place with a glue gun. You can, but I simply pushed them through the wire that is holding the pink flowers in place. In my case leaving the stems about 4 inches long worked perfectly. The last step was adding the fake leaves to the wreath. I tucked them under the flowers, and the wreath makeover was finished! I used a small Command hook to hang the wreath on our front door. I think that looks so much nicer than those over-the-door wreath hooks. I absolutely love that the wreath still has the pink flowers in it. Fall decor doesn’t have to be just orange. I totally avoided orange last year for my living room decor and tablescape, and I think I’ll only use it minimally this year. We’ll see. For right now I’m enjoying how lovely our front door looks. 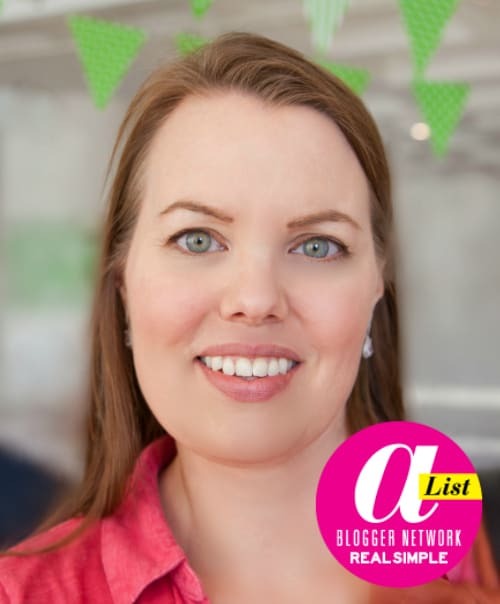 I would love it if you pin this post! 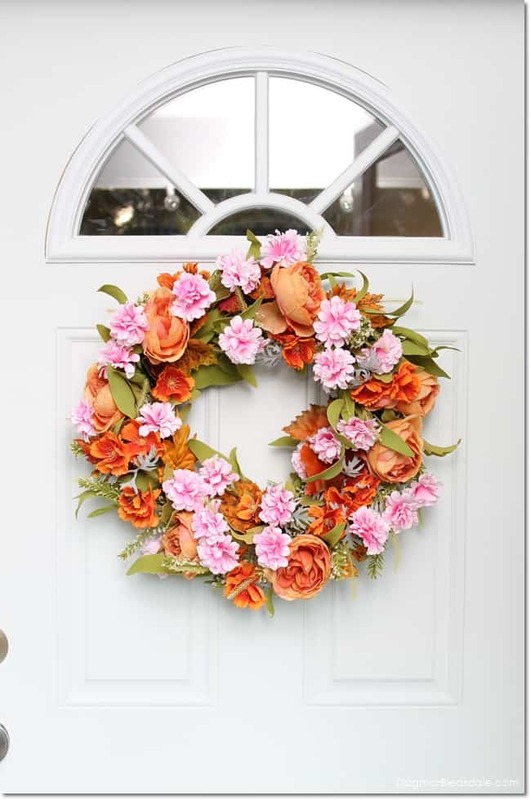 The orange flowers bring in a touch of autumn to your wreath. it looks very nice! Love the transformation! Thank you for sharing at Merry Monday. Super pretty! Love the combo of the pink and orange flowers. Visiting from Show + Tell party. 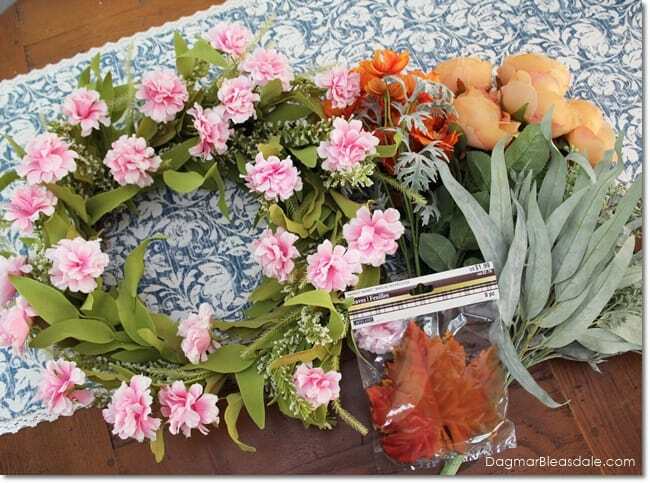 Hi Dagmar, Looking this wreath idea there is only word is coming in my that is “Awesome”. 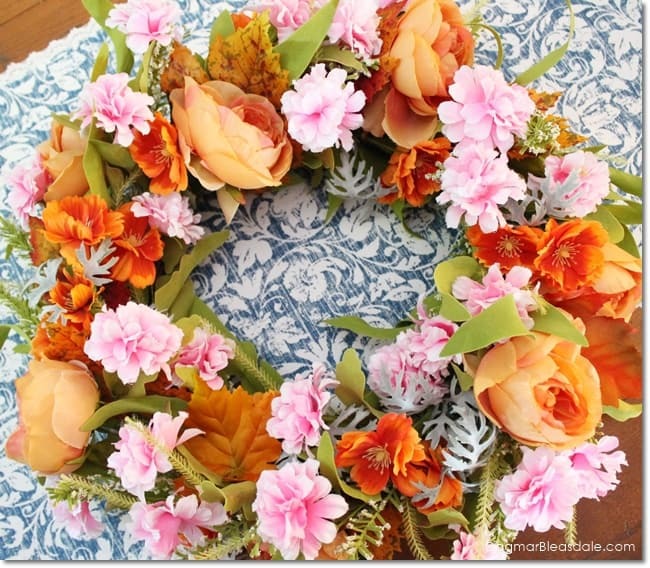 I much appreciate you for the quite pretty idea of making wreath ouf of a spring wreath. This is looking more trendy and beautiful. The way of decorating, by hanging it infront of the gate is amazing. It is really quite suiting. 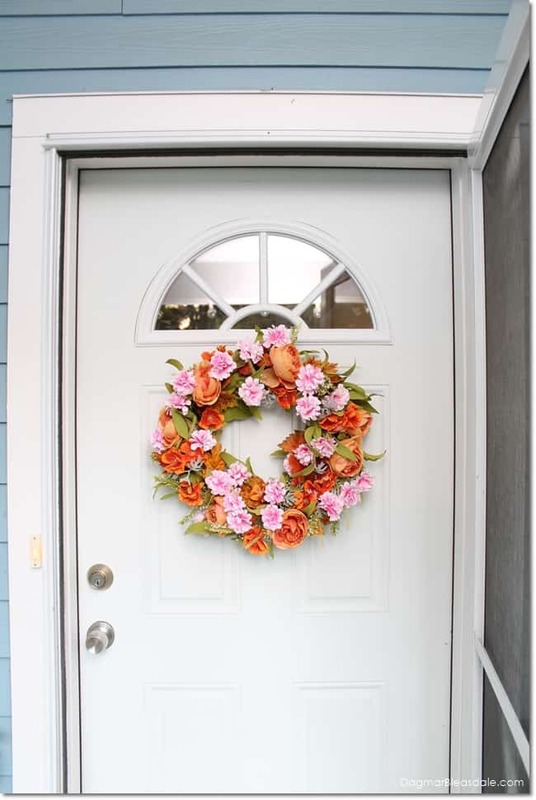 I got impressed with your DIY fall wreath. Looking this wreath infront of our gate and wall, everyone must admire us and they will ask how did you make it? The more interesting thing is : it is tated with the beautiful looking flowers which is responsible to enhance the beauty of it. I haven’t such idea before such like that. The color of wreath is more pretty in look. Thanks for the lovely post. Have a good day. So pretty. I love fall colors. Hi Maggie, thank you for you comment! 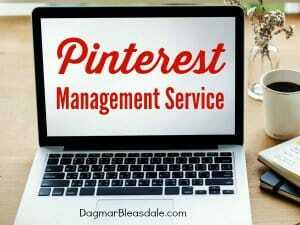 It’s really pretty Dagmar! I never would have thought pink & orange would go so well together, but it does look so nice. Love that it’s easy too! I could cringe as I remember donating a package of fall leaves a couple of years ago because I didn’t know what to do with them. Wish I had them back! Oh my goodness, I love how that wreath turned out! I never would have imagined that pink and oranges would go so well together!